Rafters move past the formation known as The Gate- photo counrtesy of A Zier-Vogel. Water cascades near a cliff. Visitors cruise past a frozen bank. 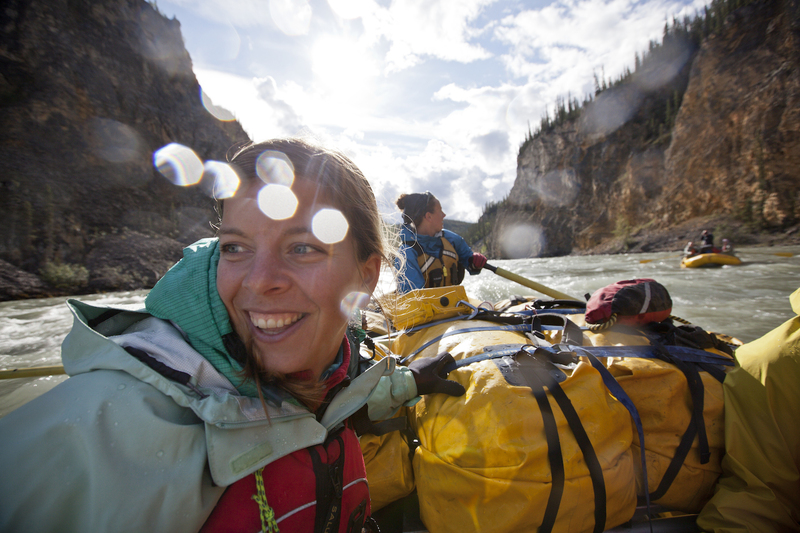 Get your heart pumping in the wilds of the Nahanni National Park Reserve. Where do you start when it comes to Canada’s whitewater playgrounds? 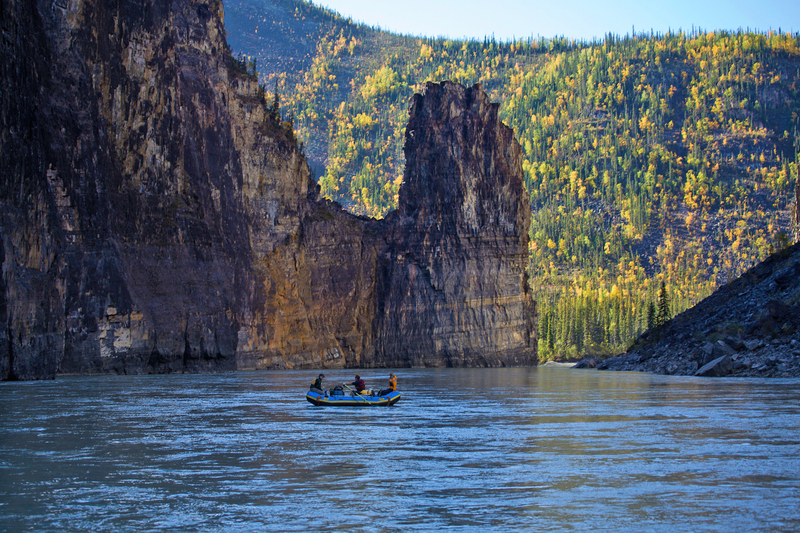 Deep in the Northwest Territories, the Nahanni National Park Reserve has the distinction of appearing on the first World Heritage List, inscribed in 1978. 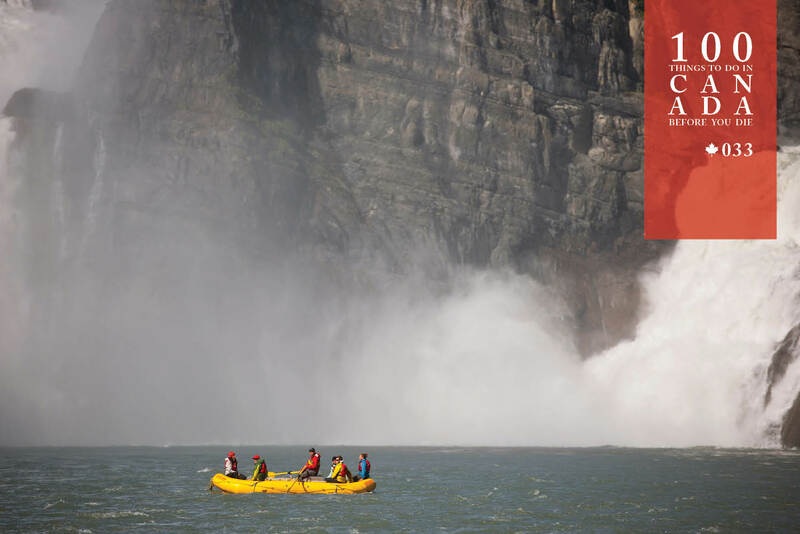 A stunning amalgam of varied landscapes bound by the legendary South Nahanni River, it roars through 800 kilometres of UNESCO-protected landscape and is home to Canada’s deepest river canyons, plus the spectacular Virginia Falls – almost double the size of Niagara. Or there’s the Tatshenshini and Alsek Rivers, which flow through the Yukon, BC, Alaska, Glacier Bay National Park and Tatshenshini-Alsek Provincial Park to finally spill out into the Gulf of Alaska. 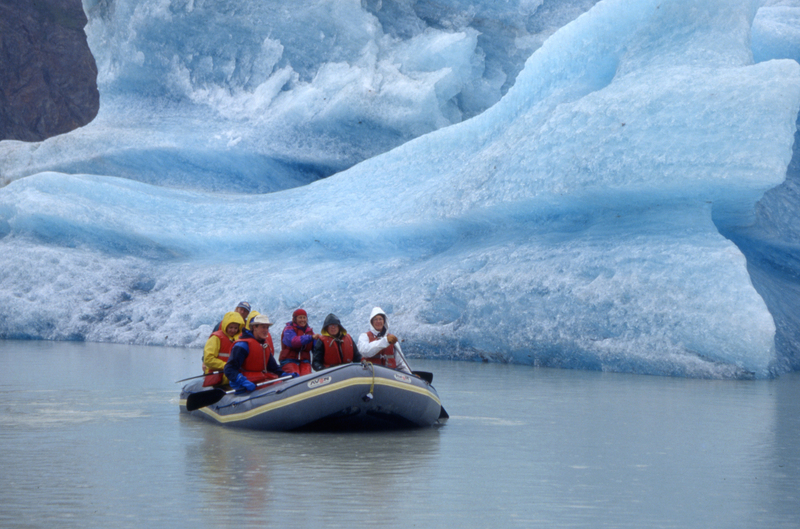 On a two-week tour with Nahanni River Adventures and Canadian River Expeditions, float down glacier alley where you can reach out and touch – or even hop out and walk around on – a giant floating iceberg. This will be the least of the marvels you encounter. Just grab a paddle and go. 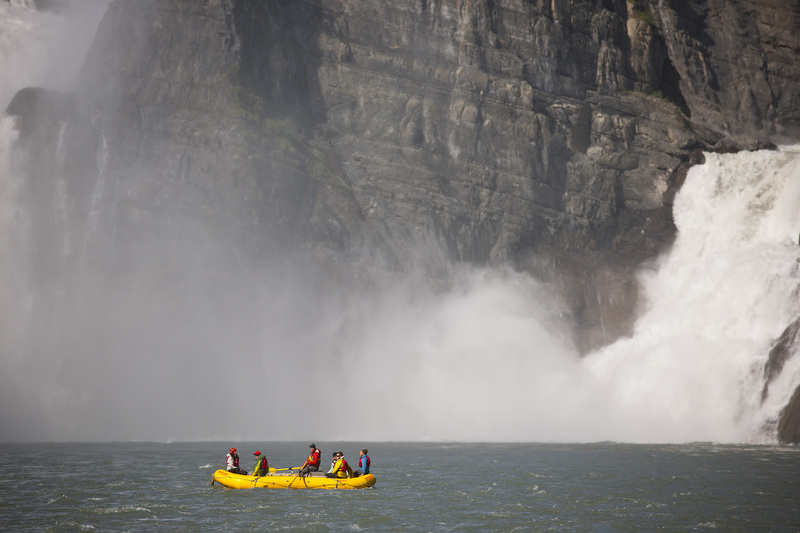 Nahanni River Adventures and Canadian River Expeditions (nahanni.com) recommend tackling their wide range of tours during the summer months (June to September). Find out more at Keep Exploring Canada. Nahanni National Park Reserve is in the south-western corner of the Northwest Territories, along the border with the Yukon. The Tatshenshini and Alsek Rivers pass through BC and into the lower western corner of the Yukon before flowing into the Gulf of Alaska.